I love the holidays for several reasons. First and foremost being that I am officially on break from school! I took my last final of the semester this morning and half of me is elated that it’s all over and the other half is frustrated with my performance this semester and anxious about the grades that will soon be posted. All of those are pretty normal post-final emotions for me..I can never fully relax right away. The good thing about being married during this time is that we can lean on each other. The bad thing is that I still have to cook for two lol. I do enjoy cooking but during finals week, eating becomes less of a priority. Anyway, I’ve learned how to make some simple appetizers (or teasers as I so cleverly entitled this post) that you can serve at a holiday party or any dinner. For me, they are more like light meals since we won’t be entertaining. Yall, I don’t know why I laughed so hard when he said this. I think his accent made it funnier..I probably laughed a little too hard like it was the funniest thing I had heard all night (and it was). Moral of the story: If you’re not having great time at a holiday party, find someone interesting with a good sense of humor to talk to and your night will be saved. Now for the recipes, first up is hummus! In one of my past posts, I’ve complained about no one buying us anything on our registry. My mother heard this and for my birthday she got me a blender and a food processor from our list. So for my first use of the processor, I decided to try something simple. First time I made this, I completely drained and used 2 cans of beans. I squeezed the whole lemon in there because I like the taste. 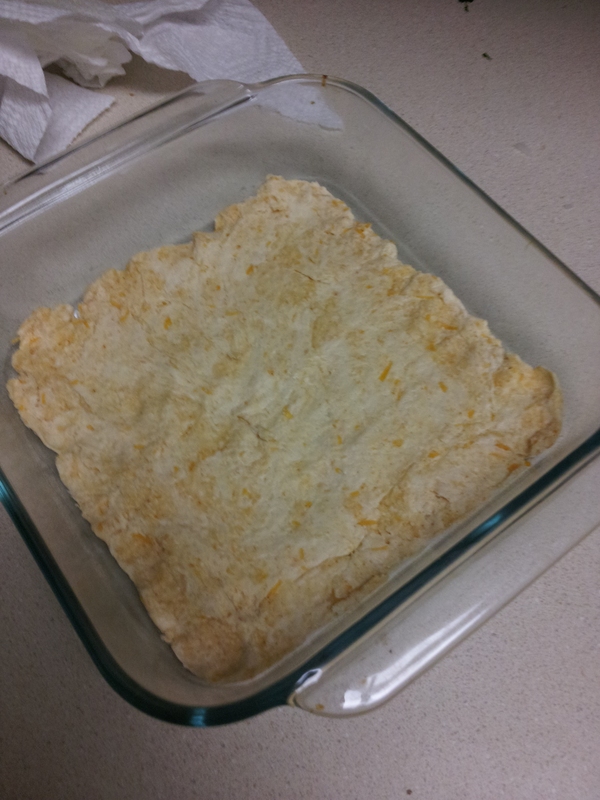 Overall, the taste was really good and flavorful but the texture was a bit too dry and pasty. You can see the papers in the background..I was in the middle of a 8 hr study session. I eat it with pita chips or regular tortilla chips..The second time I made it, I used only one drained can of garbonzo beans and poured in a little water. It came out better texture but I lost some of the flavor. I’ll get it right one of these days. To make it pretty for a party, you should garnish it with a parsley leaf or something. I’ve always loved deviled eggs and once I found out how easy it was to make, I started making them all the time or whenever I have leftover eggs (usually right before the expiration date which probably isn’t the best policy). After I boil the eggs, I’m too impatient to wait for them to cool completely so I put them in a bowl of ice and peel them. Cut them long ways and put the yolk in a bowl. Mix in the other ingredients including a little salt. I like a lot of sweet relish in mine. Put the mixture back into empty eggs. Earlier I gave a recipe for Mushroom Cheese quesadillas and this is fairly similar. Put spinach and cheese on tortilla and top with another tortilla (I forgot but make sure to put cheese as first layer, then spinach, then cheese again so the bottom tortilla can stick). I used our panini grill again! You can use a regular frying pan and it’ll turn out the same. Of course, you can cut them smaller to feed more. That’s it! Since I’m not a professional, I gravitate to simple recipes that can satisfy anyone and these appe-teasers will definitely make your guests think that you know your way around a kitchen. Vegetarian Lasagna: frozen spinach, Morningstar griller crumbles, Ragu tomato sauce, onion, minced garlic, oven-ready lasagna noodles, tofu, and shredded cheese. 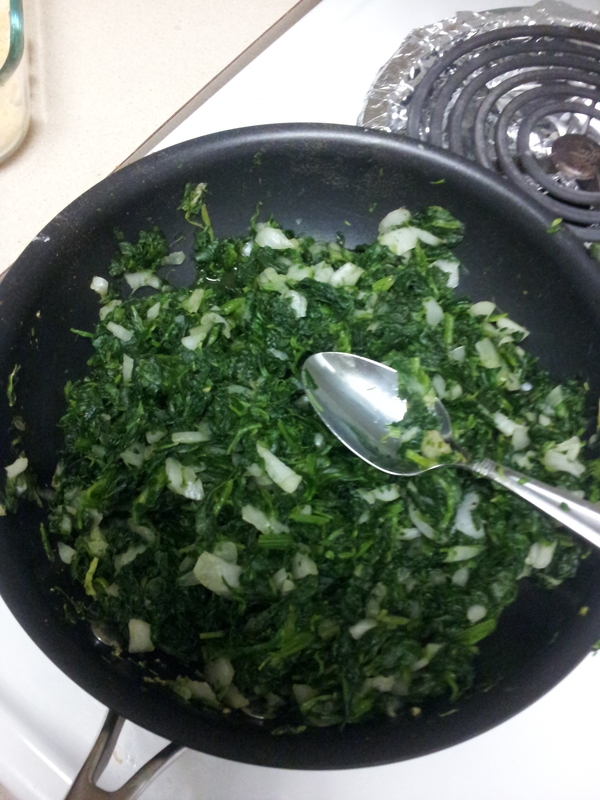 OK now back to the lasagna: First, I cook the frozen spinach, griller crumbles, garlic, and onion in a frying pan with some olive oil. It would probably look a little better without layering the last tofu so the white stuff isn’t on top. My husband isn’t a fan of tofu but he really likes this dish because you barely get that “tofu taste”, it kinda just blends in with the rest of the ingredients. And let me tell you, this is delish! Better than any hotel catering, that’s for sure. Enjoy! I own several cookbooks and I’ll list all of them on here sometime..One of my policies is that I never buy anything at the grocery store that I will only use once unless it’s for a special occasion like a dinner party or holiday. Alright, that’s phrased kinda weird..what I mean to say is that I look for recipes that use things that are already in my pantry or if I buy it, I know that I can use it again in another meal..like butter. I also believe in the Law of Substitutions which mostly came from my mother, but at times, this law can work against you. I will explain the law in another post, but first I have something to get off my chest.. 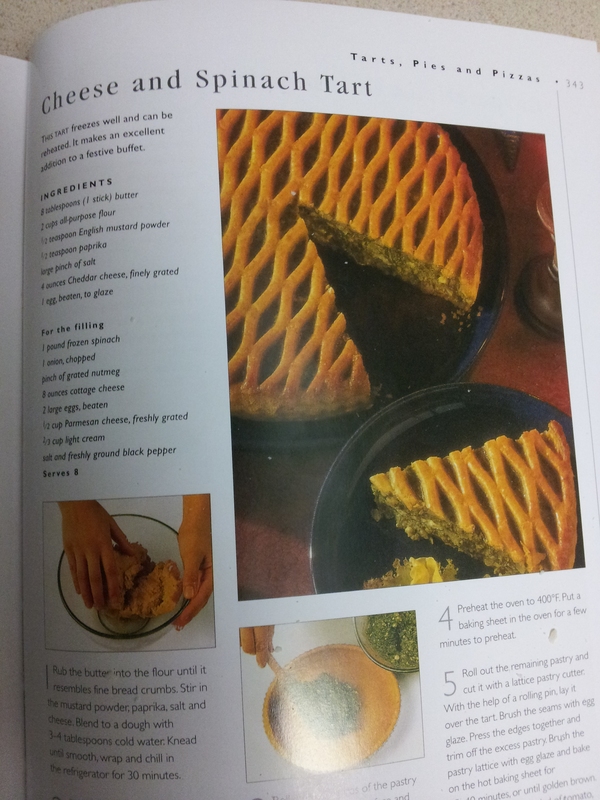 Here is where the love/hate comes in: I love the creativity and diversity of cookbooks and above all, I love the pictures! BUT I hate that I have to search the high heavens for “special” ingredients or buy special kitchen utensils and appliances like a blender or electric mixer (side note: I specifically used a blender as an example because it was on our registry and no one bought it for us so I’m slightly bitter). 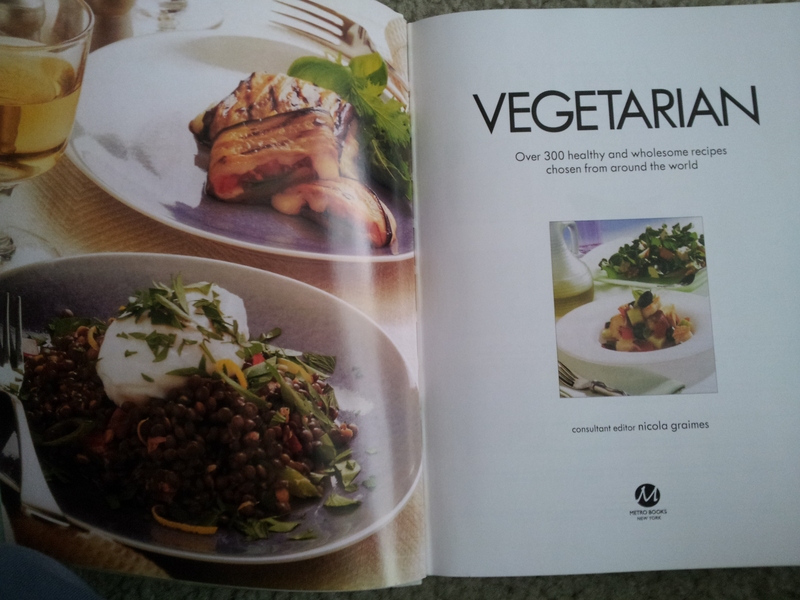 And above all, I hate that my version of the meal looks nothing like the glossy pictures! The above cookbook is one of my favorites to love/hate. 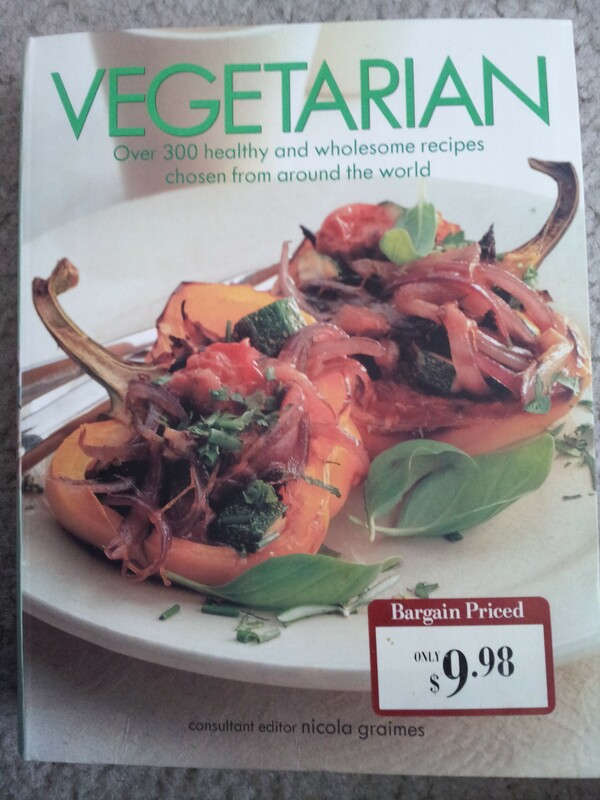 I picked it up at Barnes and Nobles from the sale table (another philosophy of mine, never buy anything that’s not on sale)..I have tried and failed several recipes from this book but I keep coming back for more in hopes of actually creating something that will impressed people (and by people, I mean my meat-eating husband and myself). It hasn’t been all bad..I have “mastered” some of its recipes. Like the one I am sharing with you today: Cheese and Spinach Tart. As you can see from the pictures, this is very gourmet-lookin stuff..after further research, I’ve found that there is actually a career or art form in food photography! There’s a technique involved! Upon this discovery, I have since decided to not feel bad and to stop comparing my creations with that of the pictures. However, there should be some disclaimer or warning on the inside cover like: The objects in this book are not as they seem when you make them at home (or something more clever). Ok I digress. 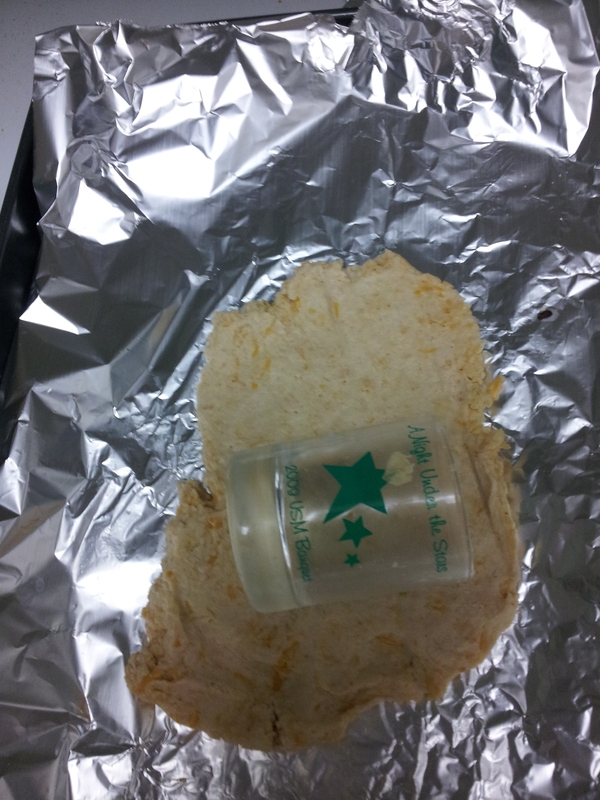 First of all I don’t own a roller, so I used this lovely shot glass to roll out the dough. Also, the dough part required “mustard powder” which I don’t have so I used a lil onion powder and garlic powder (see Law of Substitutions). Voila! The finished product! Now, the recipe calls for you to cut the remaining dough with a “lattice pastry cutter”..So in comparison, I think I came pretty close right? All in all, it ended up tasting pretty good. 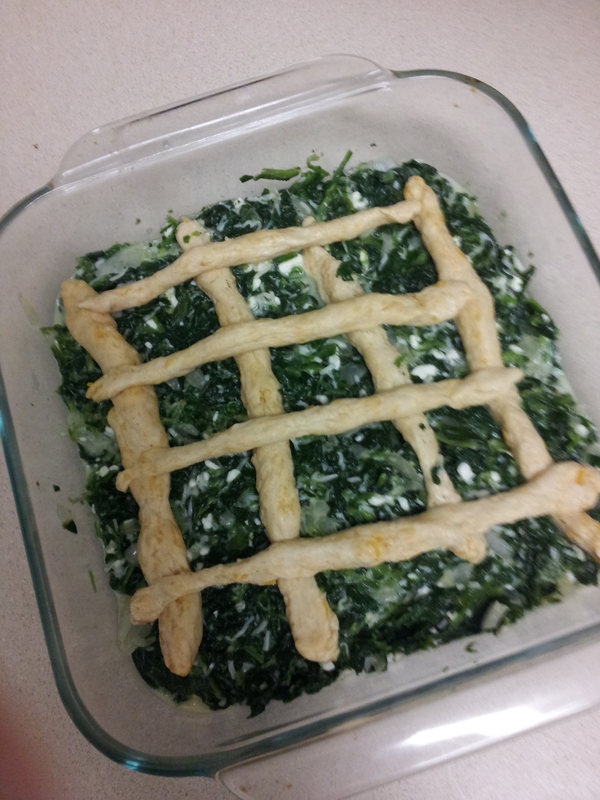 Kinda like a spinach quiche and the dough tasted like pot pie crust. We ate it with instant mashed potatoes (since I didn’t feel like making anything else lol) and my husband said it was good. Ya hear that fancy cookbook people?! I don’t need your stupid lattice cutter! That’s it for now, remember to eat and be merry!